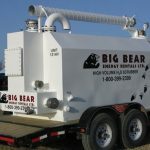 The specific needs of the customer and the specific concentrations of the well determines the flow back treatment or neutralization process that Big Bear Energy Services can supply for the application. Working with our H2S Service Technicians, you can safely remove H2S from your produced water, and treat the clean water so it is ready for re-use. 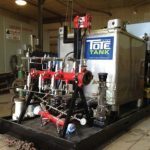 Treatment of water or flowback on location provides significant cost savings, and marginalizes the constant requirement of new fresh water, while saving the related disposal costs. 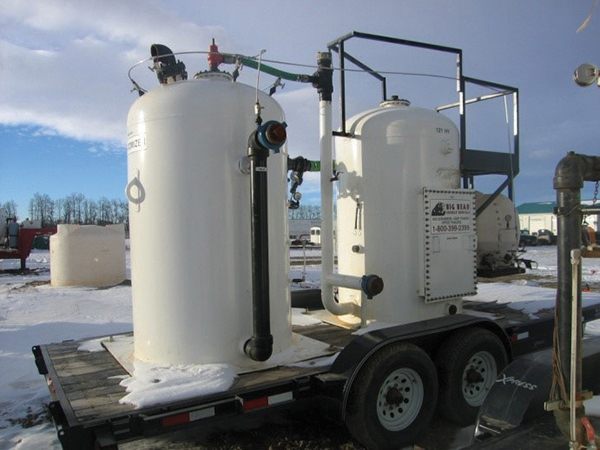 Our mobile H2S Scrubbers can neutralize fluids before they return to the surface, which minimizes the hazardous potential of the flowback. 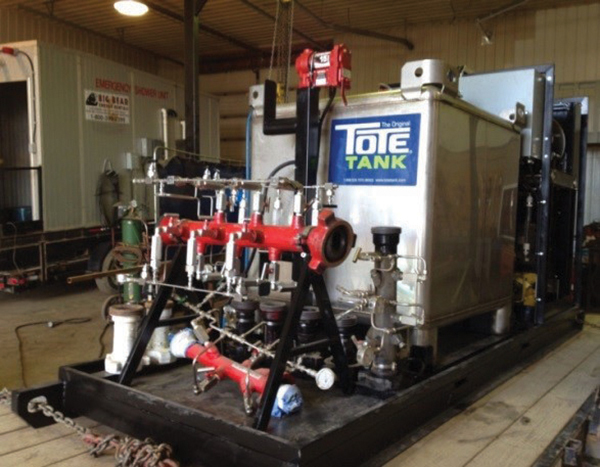 Treated fluids on lease eliminates the need for storage and transportation costs associated with trucking flowback away from location. Safety is the number one factor in all work activities, especially when dealing with a potentially lethal poisonous gas. The value of being able to properly deal with this hazard is provided through our systems and trained professional H2S service technicians. 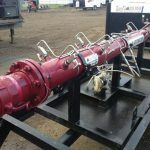 Our high pressure atomizing and ultrasonic injection systems are used for H2S and Flowback Treatment of saturated produced water, oil and / or sour gas, with or without the addition of the low pressure injection manifold. Using filtration, our systems can clean water / flowback, which allows it to be re-used on location. 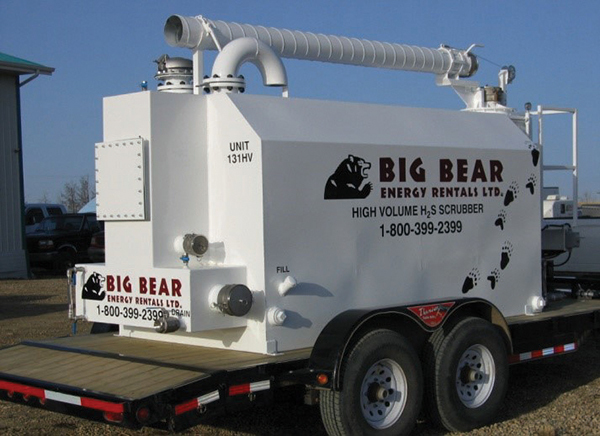 Big Bear Energy Services provides mobile on location filtration with flow rates from 0 – 10 m3 per minute. 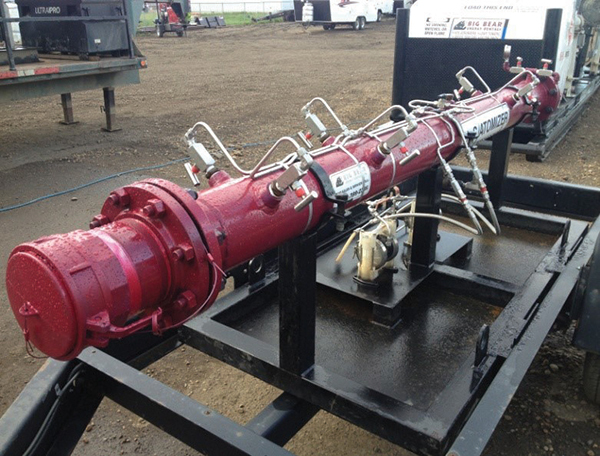 Thousands of dollars are saved every day by recycling and re-using filtered frac flowback water. The trucking costs for the removal of the wastewater is drastically decreased by re-using filtered flowback water. Flowback water is pumped through our filter units while using specifically sized micron filters, and is treated with Health Canada approved disinfectants. Some disinfectants are liquids, which when injected evenly in a stream, will effectively neutralize and kill all bacteria, viruses and fungi. Other disinfectants will slow bacteria growth when they are added to flowback water. The addition of disinfectants helps to decrease the chance of cross contamination between wells in a field, which aids in the longevity of a well prior to it turning sour. 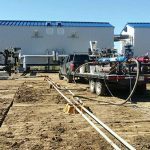 Flowback treatments and onsite fluid transfer can be used for all well operations, from drilling, to completion, as well as production. High & Low Volume H2S Scrubbers provide the correct materials for H2S neutralization in a variety of applications. By pre-treating fluids being pumping down hole, the neutralization process of the fluids has already started, prior to returning to the surface. Additionally, there is a decrease in trucking costs, when disposing of sweet fluids rather than sour fluids. 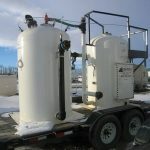 Our mobile Wet and Dry Scrubbers are set up quickly, and will run unattended on any remote location. 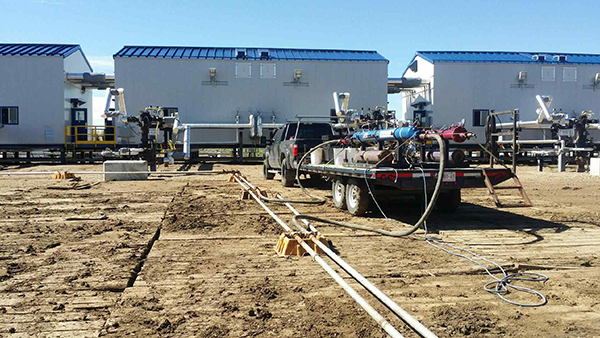 Servicing or testing can be done on location by our trained professional H2S service technicians, which provides minimal down time of the operations. All of our personnel have completed professional training specializing in H2S neutralization and chemical injection. 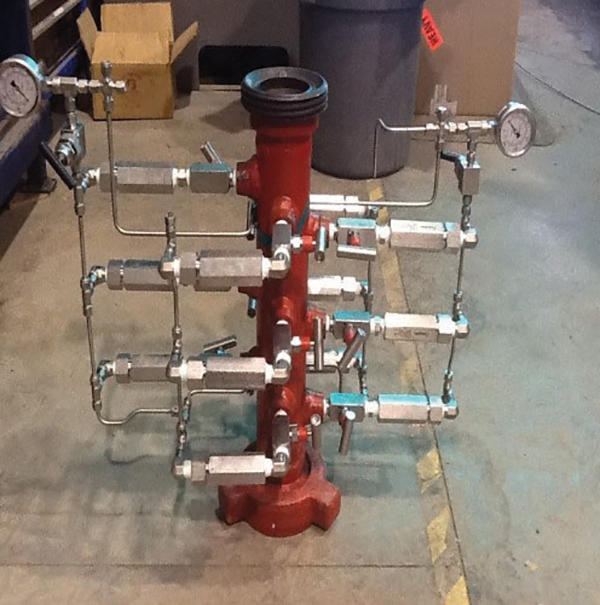 Commonly used for scrubbing H2S gas venting from 400bbl to 1000bbl tanks by attachment from vent line. Commonly used to reduce transportation cost by allowing sealed vacuum units to achieve maximum loads. Sealed unit pressure is vented off through the H2S scrubber. 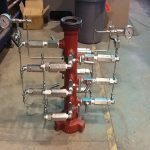 Venting off the pressure allows for a sealed unit to load on more fluid to bleed pressure off.